Where does time go? It's been five years since Czech Republic�s Sebastien released their first album, Tears Of White Roses. I thought it was only a couple of years ago. But the band has been busy, doing mini-tours and playing a variety of festivals in their native country and around Europe. They return with their second album, the oddly titled, Dark Chambers Of Deja Vu. It might refer to the brain of the late Mets manager Yogi Berra. Looking to some of the other songs, for some of that heavy metal rock groove look to Crucifixion Of The Heart, one of most accessible and catchy songs here. Sleep In The Glass has some of that groove, yet starts with some keys that sound a bit like uilleann pipes, only then to rip into some power metal. The groove fills in during the catchy refrain. And common to more than a few songs here, there's tag team solos between guitar and synths. Additionally, there are some developed symphonic touches here at the start of both Lamb Of God and Sphinx In Acheron (released as a single). 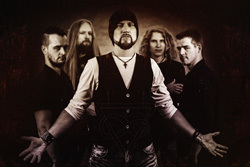 In the former it's connected to some choral vocals and then lightly sustained; in the latter, it's merely prelude giving way to a broad and bombastic power metal score. The song also boasts a male/female duet. Another duet comes with the lighter and delightful Last Dance At Rosslyn Chapel, featuring Aylin Gimenez of Sirenia. Some songs are simply thundering power metal, heavy and driving, in the greater part as with Frozen Nightingales and more so My Deepest Winter. The latter has a killer guitar solo. Finally, you get two bonus tracks, both live songs. One is a live version of Dorian from the previous album. The other is Headless Cross and features it's original vocalist Tony Martin. I could never get why so many bands cover this song. It's not all that interesting. 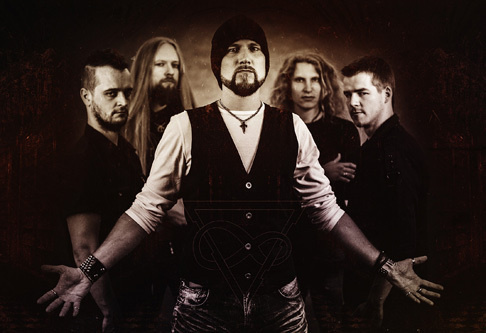 Nevertheless, Dark Chambers Of Deja Vu finds Sebastien in fine form and consistent, offering signature European melodic power metal. Recommended. 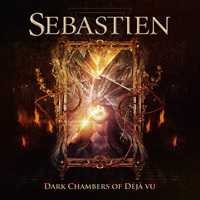 Dark Chambers Of Deja Vu finds Sebastien in fine form and consistent, offering signature European melodic power metal. Recommended.